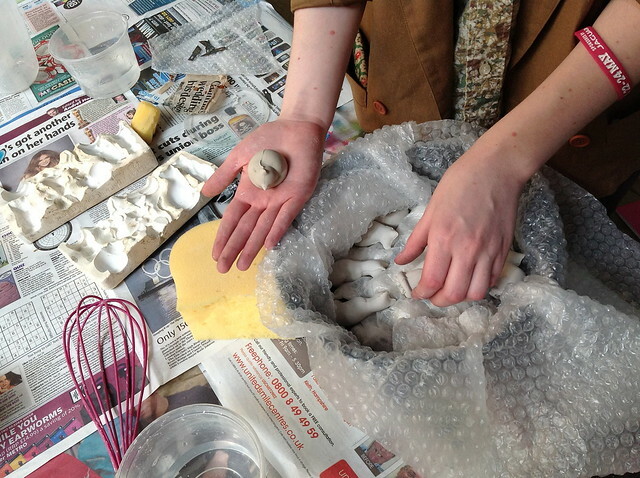 As part of our Makers in Residence programme during Clerkenwell Design Week 2012, Jotta artist and ceramicist Joanna Mires demonstrated the slip cast technique she uses to create her artwork installations. One of five artists selected for Jotta’s Editions Space, Joanna uses slipcast ceramics to explore themes of ownership, collection and nostalgia, and has already displayed her pieces at the Zabludowicz Collection, Selfridges and the V&A. 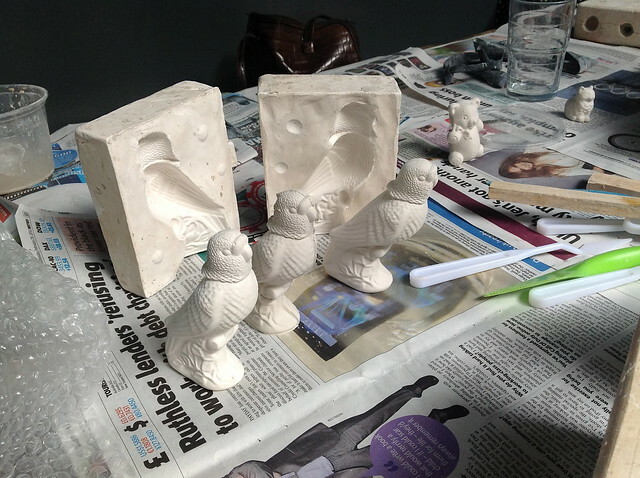 The picnic table turned work table in Lansons Communications’ courtyard was host to a menagerie of ceramic parakeets, cats, and teddy bears, shown alongside the plaster moulds she uses for slip casting. 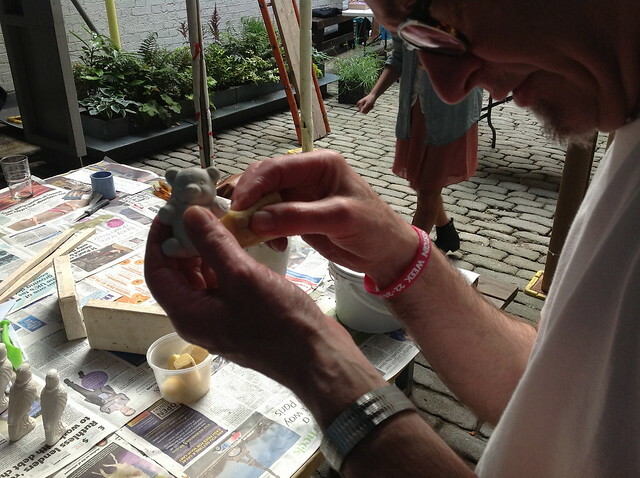 And a few lucky visitors to our #courtyardcreative space got to handfinish some of the ceramic animals! #courtyardcreative workshops in Lansons Communications’ Courtyard of Creativity were organised as part of Creative Clerkenwell’s Makers in Residence programme at CDW2012, in partnership with Jotta and onoffice magazine. Photo courtesy Jotta. Other photos by Creative Clerkenwell. 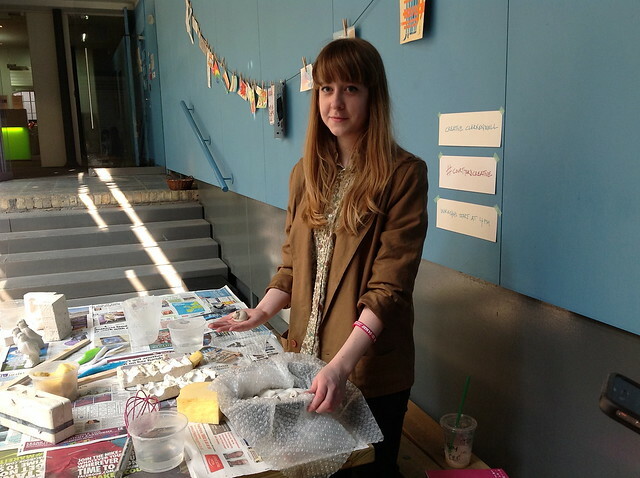 You can see more images from Joanna’s workshop and our other CDW2012 Makers in Residence in the Flickr set.